Gold Coast is a wonderful city for tourism purposes. Being the sixth largest city in Australia and a globally popular tourist destination, the airport can surely be considered a busy spot during the peak seasons. Long flights are tiring. In addition to that, driving your own car or searching for a cab just after landing can be even more stressful in a busy city like Gold Coast. If you are accompanying a large group of children or minor here, things can get even more hectic. Since, you have to ensure comfort and happiness of the pupils alongside transferring them safely to the right destination using the right kind of vehicles. They will provide you with sophisticated and high-grade vehicles for a smooth and relaxed ride to and away from the airport towards your agreed Gold Coast location. These vehicles come with excellent facilities and wonderful features to make your ride and travelling experience as special and memorable as possible. Imagine reaching your destination in a lavish vehicle stress-free and comfortably! The reliable and reputed transportation services offer you the option to choose from a wide range of vehicles that can include limousines, SUVs, Sedans, Corporate vans and many other types of luxurious cars from globally popular manufacturers. 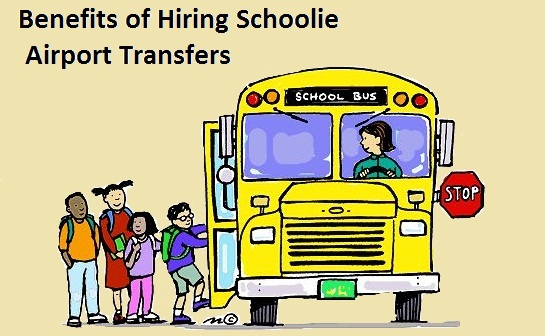 All the schoolie airport transfers service offer highly trained and qualified professional chauffeurs who are committed to transport you to your location ensuring a safe and comfortable ride. These chauffeurs are smartly dressed, courteous and pick you up from the busy Gold Coast airport to help you reach your required destination in style. They are well-informed about the Gold Coast locality and the road traffic rules and are dedicated to get you to and from the airport meticulously without you having to break a sweat. Most importantly, the students and school authorities will not be a victim of harassment in any kind of way. The airport transfer services are expert at what they do. They are not some cab service waiting for someone to pick up. They use advanced technologies to track down your flight timings so that they can easily arrive on the right spot to pick up or drop you off to the required locations on time. You do not have to worry about missing a flight your flight anymore.